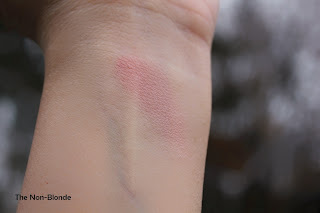 You'll have to forgive me for this breathless review: I'm more than a little obsessed with this Sunday Riley blush lately. Right now I consider it The One, probably because the color is so perfect for this time of the year when I'm utterly colorless and bright blushes can look out of place. Them there's the refined texture and formula of Sunday Riley products: as fine as it gets with a not-quite shimmery finish that becomes one with the skin. Blushing 101 is a pale dusty rose, just a little pink and very natural. It sits firmly in the neutral zone on the warm-cool spectrum, making it effortless to wear and perfect with my favorite bold lipsticks. Blushing 101 saves me from looking corpse-like on a gray day without going all the way to pink. And have I mentioned the wonderful finish? It's silky, has no particles, no shimmer yet it glows like a very healthy skin. The packaging is nice and substantial, including the almost ubiquitous black velvet pouch. You can see that it's a luxury product right away, even before dipping a brush in Sunday Riley's blush. Speaking of brushes, So far any and every one I tried with the blush worked beautifully. I tend to go with Louise Young LY06 Super Blusher brush, perhaps because the shape of the head works nicely with Sunday Riley's compact (ok, the color of the handle matches, too) , but anything from Hakuhodo to Sue Devitt gives me excellent results. Sunday Riley Blush ($30) is available from Barneys. There are five more shades in the line. This blush looks gorgeous. 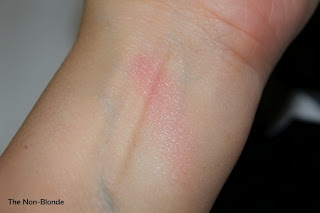 From your swatches, the formula looks rather impeccable too. 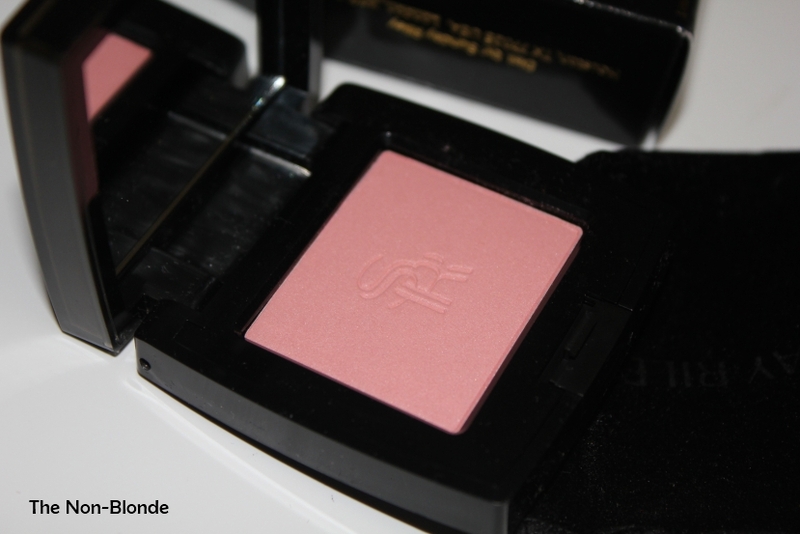 Nazia, this is one of the very best blushes I know. I wasn't even looking for a blush but when I tried it at the counter I knew it was a must-have. I'm so excited to see a Sunday Riley review! 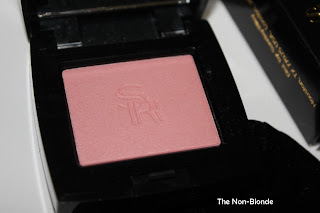 I've had my eye on their makeup line, and now I need this blush. Thanks for the swatch. Sounds and looks very pretty. I'm still looking for The One...but our coloring is very different. I'm a super pale brunette...wondering if this would work with my coloring? That is a gorgeous one, for sure. I am pale as well. Would it suit?